Hello Dealsnloot Readers,We are back with another earning way through which you can earn lot more by just downloading and watching videos. This time apart from mobile recharge, even you can earn cash also. Here you can earn points by doing some simple task and redeem those via paypal or gift card of Amazon, Google play and many more. 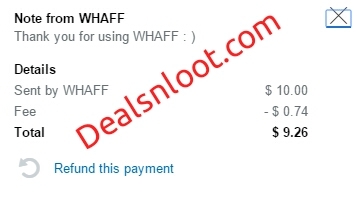 Whaff Reward app is Really Great free unlimited PayPal cash giving app by which you can easily make 15$ = 1000 Rs. in Bank via PayPal.So Hurry Grab This Loot App and Earn Real Cash. 5. Now, you can download apps and complete premium picks to get free money. 6. Go to Invite friends menu and share the apps with your friends via Facebook, whatsapp, etc. 7. You can earn 0.300$ per referral. 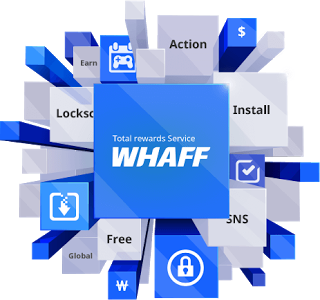 This is the premium app section of whaff rewards. Daily Reward Completion Bonus: For some apps,get extra bonus for keeping your app for a designated time. 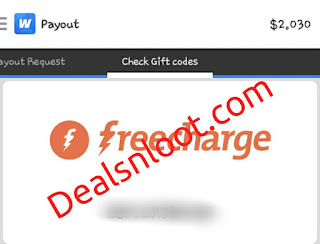 Every time your friend signs up with your invite code, you earn $0.45(Rs.25). Your friend is rewarded Rs.20 as well.